A 13-year-old girl from Washington State jumped off an overpass in Tacoma days after her father reportedly posted a YouTube video showing the aftermath of a punishment for an undisclosed misdeed. UPDATE: The Tacoma Police Department said in June that it was one of Izabel’s friends who posted the video. Her father shot the video and gave it to the girl because her parents wanted to discourage her from using social media after she had sent a suggestive photo to a boy. 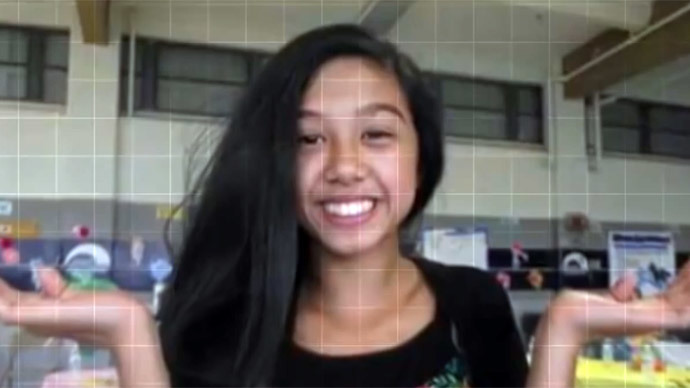 Izabel Laxamana jumped off an overpass on Interstate 5 on Friday, May 29. She died the following day at a Seattle hospital. Days before, her father, Jeff, shot a YouTube video of an apparently sullen Izabel. “The consequences of getting messed up, man, you lost all that beautiful hair,” a male says from behind the camera. The camera is then pointed downward to a pile of black hair on the ground. "Was it worth it?” he asks. "How many times did I warn you?" he asks. The original 15-second video has been removed from YouTube. A friend of Izabel's, however, posted a copy of the video after saving the original. "The purpose of this upload is to hopefully discourage another parent from engaging in shame videos," YouTube user Lift Up wrote. "You can help by sharing this video when you see parents engaging in shame videos, and by contacting suicide hotlines 1 (800) 273-8255 if a teen says they will be committing suicide," Lift Up added. "Take these words seriously." The impetus for Izabel's suicide is still unknown. According to Jezebel.com, she posted a note about being bullied in school on Google Plus last year. "I feel hated most of the time im in school i feel looked down on and i get judged alot.... But what keeps me going is people like kian who have gone through the same thing as me... In a school with so many people its weird to say 'i feel alone' but the truth is that you really do feel alone. So thanks for everything kin…." YouTube user Lift Up said Izabel's father had set up a GoFundMe account "for expenses related to the death." "Originally it stated it was so that he could stay home and take care of the other children. It has since been removed after accumulating well over $8000. We have screenshots of the account if needed," Lift Up wrote. A GoFundMe page was also set up to cover damages for the driver whose vehicle was hit by Izabel's body. A memorial video for Izabel was posted on YouTube.